Check out our Non-Fiction events! Here at the Felixstowe Book Festival we pride ourselves on our varied programme. Not only do we provide a fantastic array of talks and interviews about fiction – we are also treating you all to a variety of non-fiction events. Should your interests lie with the world of the Impressionists, then look no further than Ross King who will be delivering a fascinating talk about Claude Monet. 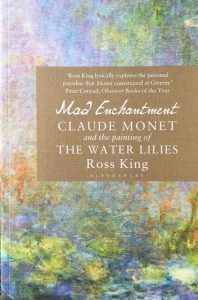 Ross’s book ‘Claude Monet and the Painting of the Water Lilies’ details, in particular, the context surrounding these glorious paintings, mostly surrounding the artist’s fraught personal life and the historical moment in which his masterpieces were created. 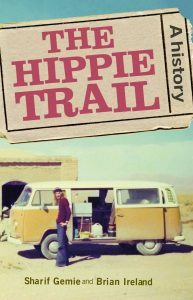 Over the festival weekend we will be joined by authors Sharif Gemie and Brian Ireland, here to chat about their new collaboration ‘The Hippie Trail’. A memoir of a trip around India, Afghanistan and various other locations in the ’60s and ’70s, this will be perfect for travel enthusiasts, aswell as those with an interest in 1960s counterculture in the East. For those with travel interests slightly closer to home, don’t miss poet and author Damian le Bas, as he discusses his first book ‘The Stopping Places’, a work which delves into Damian’s gypsy roots in various locations around the UK. Adventurers aside, we are also holding host to thespians aplenty. 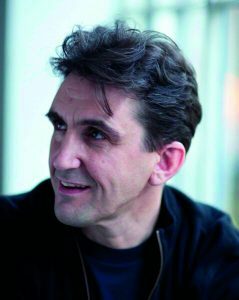 Have you heard that Stephen McGann, Call the Midwife’s Dr Turner, will be visiting to talk to us all about ‘Flesh and Blood’, a McGann family memoir? Or that Timothy Bentinck, AKA David Archer of Brookfield farm, will be joining his sister Anna Bentinck in the Elizabeth Suite of the Orwell Hotel? Guests will be treated to a chat about Timothy’s book ‘Being David Archer and Other Unusual Ways to Earn a Living’, and the siblings will discuss their careers as actors. Exciting stuff! Bringing us back to current affairs, we are lucky enough to present writer Ilan Zvi Barpon. His latest book ‘How to Save Politics in a Post-Truth Era’ will no doubt provide a topical and though provoking theme for discussion. As, I’m sure, will Caroline Slocock. Ex Private Secretary to Margaret Thatcher, Caroline will be joining us to discuss her new book ‘People Like Us’, a book which documents life inside Number 10 in the last days of Margaret Thatcher’s role as Prime Minister. I have detailed but a small selection of all the events on offer – check them all out here, or pick up a copy of the programme at Felixstowe Library! Looking forward to seeing everyone in 2 months time!